Today, the ivory trade is at an all-time high since the commercial ivory ban was implemented in 1989. The problem is global in scale, with approximately 229,729 elephants killed and trafficked in the past six years. But where does all of this ivory come from - and who's buying it? A new report released by Born Free USA tracks just that - ivory's path from the bush in Africa to retail markets thousands of miles away in Asia. The ivory trade, the biggest driver of elephant poaching, is often thought of as an unorganized, haphazard industry. But the report, titled "Out of Africa: Mapping the Global Trade in Illicit Elephant Ivory," finds that the trade is in fact carefully regimented. It's concentrated within a small number of transactions, through just a few ports and airports, and within a select group of criminal networks. "In reality, it is a highly organized, complex global crime that has avoided consequence for decades," said Varun Vira, Chief of Analysis at the non-profit C4ADS and co-author of the report. "However, our report reveals that there may be as few as 100 large-scale ivory containers moving annually that drive the vast majority of the entire illegal trade." 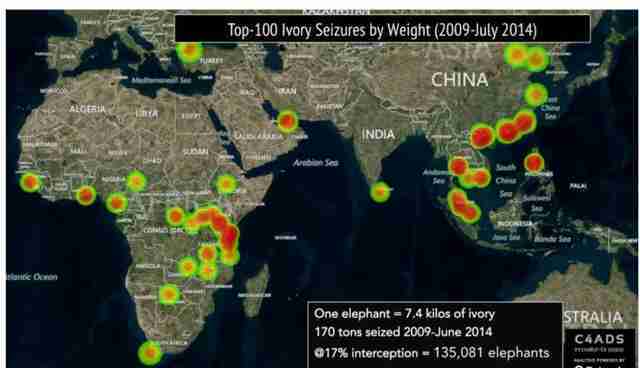 Investigators found that three ports export the majority of ivory shipments: Mombasa in Kenya, and Dar es Salaam and Zanzibar in Tanzania. The top three airports are Nairobi, Addis Ababa and Johannesburg. Isolating these hotspots and ramping up enforcement in the area could help officials stem the flow of ivory out of the country. From Africa, at least 100 containers move ivory annually, and ferry it mostly to Chinese consumers. The industry funds Asian transnational organized crime syndicates, despite the fact that actual poachers make just 5 percent of retail profits. "It is well known that East Asian nationals, and, in particular, the Chinese, drive the modern ivory trade," said Born Free USA CEO Adam M Roberts. "However, the scale we found in our investigation was shocking; Chinese traffickers are present in virtually every single African range state, and operate at nearly every point along the ivory supply chain." 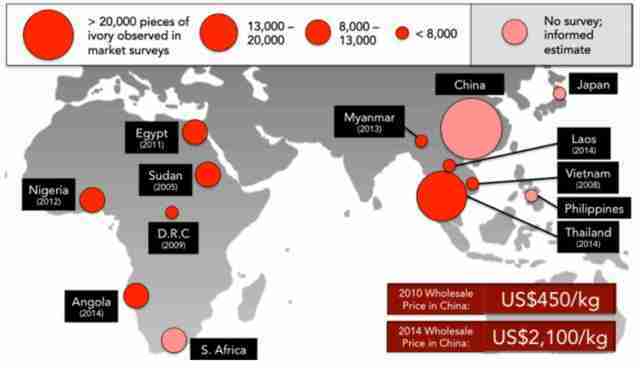 East Asia is the largest consumer of ivory products, mainly due to high levels of corruption, low law enforcement capacity and low political will in the region. Many Asian law enforcement agencies don't think of wildlife trafficking as a serious type of organized crime - though, the report says, this is slowly changing. When it reaches East Asia, ivory is carved into classical items like balls, religious items and ornaments, or, increasingly, modern items like iPhone covers and cigarette lighters. In many countries, there are both illegal and legal markets for ivory, making enforcement difficult. The ivory trade also has disturbing ties to drug trafficking and terrorist groups. Last June, U.S. Trade Representative Michael Froman finally announced that the U.S. recognized wildlife trafficking, particularly poaching, as a major threat to national security. 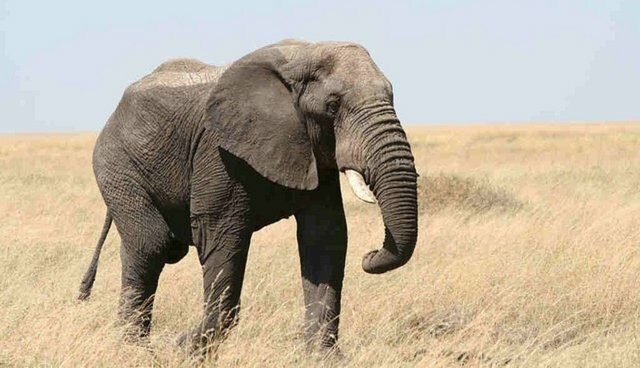 Terrorist groups including the Lord's Resistance Army, the Janjaweed and al-Shabaab have all been pointed to in the past for their ties to poaching and wildlife trafficking.